Finely grate the zest of limes. (start with 2 and add to taste) Squeeze lime juice into bowl. Add sugar and whisk. Whisk in all remaining ingredients. Churn in VERY COLD ice maker until finished (about 20-30 minutes). 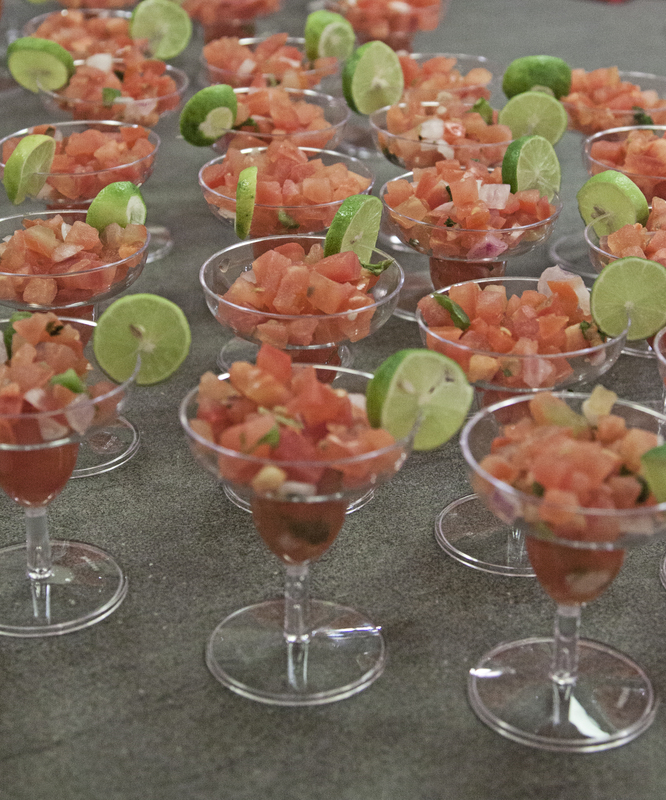 Serve in small mini margarita glasses with salt rim and lemon wedge! 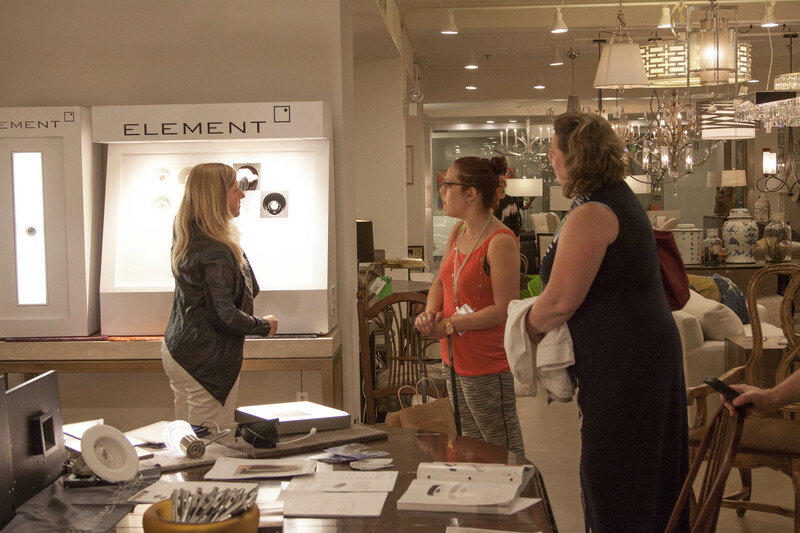 It was a midweek fiesta in the CAI Designs showroom, as Tech Lighting presented products and features of their newest collections, including Element downlights. 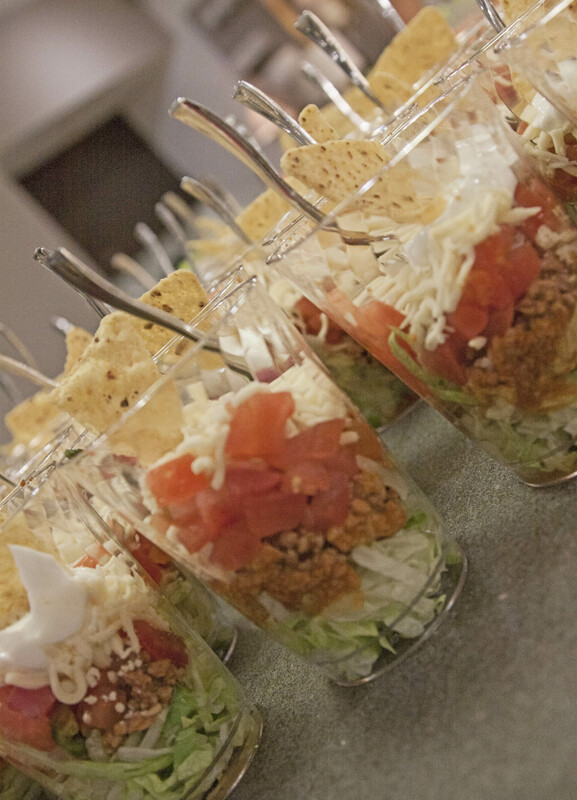 Many have asked for the “recipe” for the mini taco salad and pico de gallo served at the event. So, here it is! This is great for summer parties and graduations with its easy Grab and Go capability! Add some Sangria and let the fiesta begin! There is no measuring here. It’s all taste. Don’t like onions much? Don’t add as many. Love Cilantro? Add alot. Use Mini Key limes to garnish. Don’t have time to make it? Jewel has it by the container in the deli department. Mini 2oz. Margarita glasses available at Party City. Super easy and you look like you spent hours doing it!